Some things never go out of style. 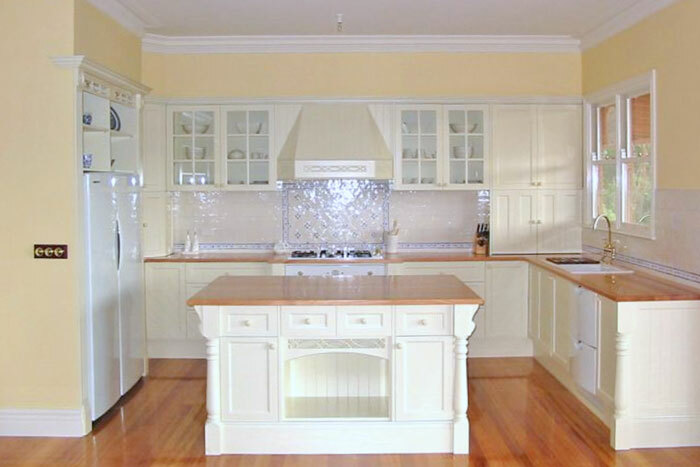 A beautiful, functional, French Provincial kitchen will be an asset to your home for a long time. You’ll love cooking and entertaining in a beautiful, classic kitchen. Forget ‘trendy’ materials and styles that date your property. Instead, if you’re looking for something classic and lasting, Grandview Kitchens can design and build a French Provincial kitchen for you. There’s a reason why certain kitchen designs are classic – because they work. The sorts of French Provincial kitchens that Grandview Kitchens design and install, cater to many different types of needs. It doesn’t matter if you’re an occasional cook or love to whip up big family meals, you can get a French Provincial from Grandview Kitchen to suit you. Because classic kitchens don’t generally require obscure materials or the latest designer labels, they can be suited to many different tastes and budgets. Your kitchen won’t go out of style or date your home – meaning your investment will be worth it for many years to come. A French provincial kitchen design can be made to suit any type of home from any time period. There’s no reason for your kitchen to ‘stick out like a sore thumb’ when it can be suited to your home. However, classic doesn’t mean basic. 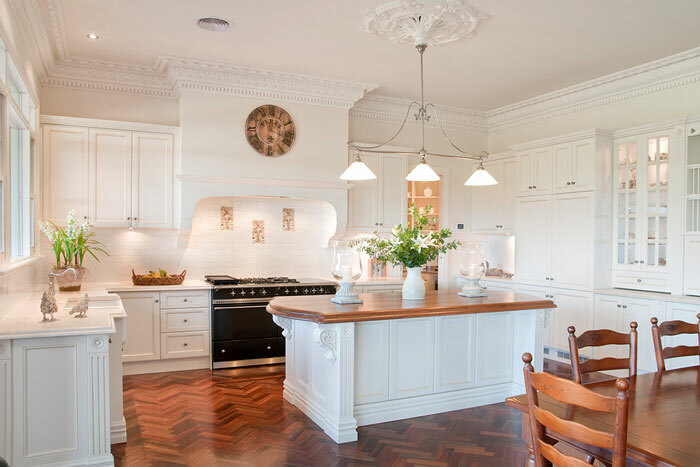 We design your French Provincial kitchen to suit your needs. It will replace your tired kitchen with something timeless, yet suited to modern living. Always wanted some space for a dishwasher, double oven or coffee machine? At Grandview Kitchens, we can combine the French Provincial kitchen look with up-to-the-minute European and Australian appliances. Now you can fit your classic kitchen around your life! Plus, it’s easy to freshen the look of your French Provincial kitchen over time with accessories, from knick knacks to feature appliances. Always wanted your kitchen designed your way? Custom-designed kitchens from Grandview Kitchens give you the freedom to choose your own look and feel. With classic designs and a custom fit, your new French Provincial kitchen will be a centerpiece for your home and valuable investment. Want to make your kitchen a classic? 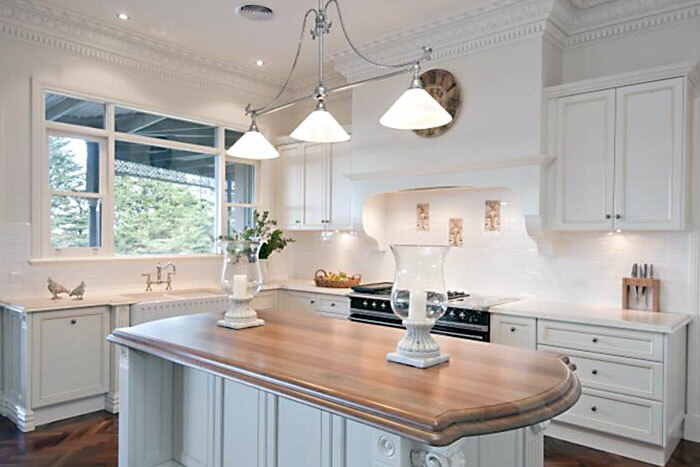 Visit our Kitchen Gallery page for ideas for your new French provincial kitchen, or contact us for an obligation-free design and quote with one of our experienced consultants.